Dear Book Reader, | Read this book…or don't. Wow, it’s been such a long time since I’ve done one of these, so it feels good to be back! Makeovers in books and movies looked like so much fun. Not so much in real life. Click here to add Bookishly Ever After to your Goodreads TBR shelf, and add your TT to the comments! It’s time for TT and I nearly forgot. So, just a little late this time. Just a little. Anything that messed with your head that much had to have side effects. Hyden glanced at me and then back to the road. “Guess we’ll storm the place,” he said with a half smile. Click here to add Enders to your Goodreads TBR shelf, and add your TT to the comments! My favorite from these six was Zoe Letting Go. I loved it! I, sadly, didn’t get any reviews posted this month. I do have a number to get posted though. WWW Wednesdays is hosted over at Should Be Reading! 1. I’m currently reading “And We Stay” by Jenny Hubbard. It’s only somewhat keeping my interest right now. 2. I recently finished “Alice In Zombieland” by Gena Showalter. It was okay, but I’m going to go ahead and read the second book. I tried to get into “Biggest Flirts” by Jennifer Echols, but 25 pages in and I couldn’t take anymore. Rarely does a book become a DNF. 3. I’m not sure what I’ll read next. I feel like I’ve hit a brick wall with some of the books I’ve been reading lately. I want something that holds my attention. So, how would you answer these three questions? Leave your blog link or responses in the comments! Hope you’ve had a great day! Here are my teasers from my current read! Another case in point: a new girl shows up at the Amherst School for Girls after the holiday break, and rumor has it that this new girl got into major trouble at her old school. When a girl loses something, she tries to accept the loss because it’s what is expected of her. 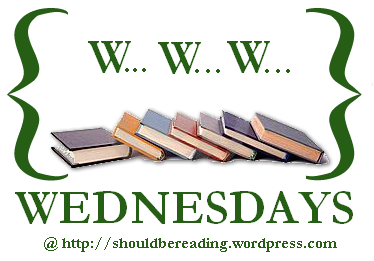 Click here to add “And We Stay” to your Goodread’s TBR shelf! Add your TT to the comments! I hope that everyone has had a great week! Catching up on some reading tonight and have a lot of books that I’m going to need to be reading in the next weeks. Here’s a look at what I’ve still got out from the library! Of course, a bunch of books on my TBR list were sitting on the YA shelf, so I couldn’t help but pick up all of them, with the hope I’ll eventually get to read them. Well, I did get one book returned, and I know I’ll be returning another book next week after I write the review. But all of the new books…I need more time to read, less time doing anything else. What did you get from the library this week? Leave it in the comments! Okay, I know I’m posting this on a Thursday and I actually sat down to do it yesterday…I just didn’t. But, here we are with a delayed WWW Wednesday! 1. I’m currently reading “The Treatment” by Suzanne Young. 2. I recently finished reading “Zoe Letting Go” by Nora Price and “Incarnate” by Jodi Meadows. 3. Like usual, I’m not sure what I’m going to be reading next. I need to finish up the Gone series, so may read the last three of those. Leave your answers to these questions in the comments! Liz has read 28 books toward her goal of 40 books.